CGI Off Campus Drive for BE, B.Tech, ME, M.Tech, MCA freshers – 29th April 2015 . 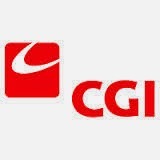 CGI Job Openings in Bangalore, Chennai, Hyderabad for Associate Software Engineer Position. Only 2013 and 2014 Batch Freshers are eligible to attend this drive. Interested and eligible candidates can apply online through the below provided link.